Metalurj is anything but a traditional jewellery brand. Rejecting current trends and conformity, its founder Jill Herlands creates jewellery to those who channels inner creativity, authenticity and individuality, in which, theoretically speaking, is what everyone and anyone should be. 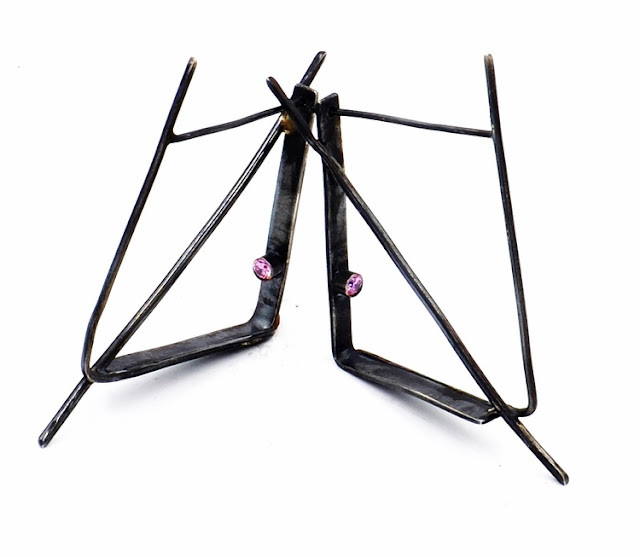 Jill's sincere passion for metal and its versatility allows the expansion of imaginative and innovative ideas for the adornment of the body, fulfilling the needs for something newer, fresher and most importantly, different. Metalurj's one of a kind designs have been described as both retro and futuristic, with the incorporation of precious stones and rustic metal that seems rather unlikely on paper but once the designs come to life it is edgy, exhilarating and awe-inspiring. Here I speak to Jill about her inspirations as a jewellery designer, how working for a renowned music agency influence her brand and how she came up with her extremely catchy motto. What inspired you to become a jewellery designer? I have always been the creative type and never liked following the crowd. As a teenager, I would take apart existing pieces of jewelry and put them back together, creating what I called “my brand.” Even then, my style was edgy and outside the box. Most of my adult life was spent in the music industry, until my daughter went off to college. I decided then that I wanted to expand my knowledge of metalwork, and I took a silversmith course in September 2014. Learning the basics was just the platform I needed to jump right into design and I became passionate about working with metal. I was never interested in following trends, and instead followed my imagination, creating what I liked and what I would want to wear. I found that many other people shared my sense of style, and MetalurJ was launched in March, 2015. You once worked for a music agency representing world renowned musicians such as Meatloaf, Billy Joel and and Tom Jones. 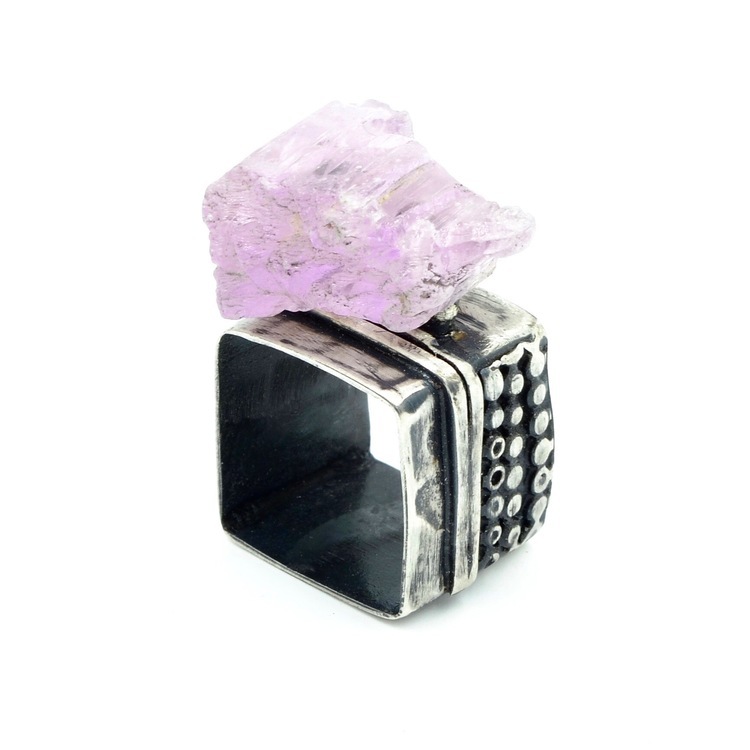 Being surrounded by such creativity, innovation and personalities must have had an impact on your jewellery collections? The years spent in the music industry made a big impression on me and what I design. The environment was all about open mindedness, discovery, music, and non-traditional style and the talent that surrounded me not only influenced my look, but allowed me to explore and discover larger than life creativity, innovation and personalities. 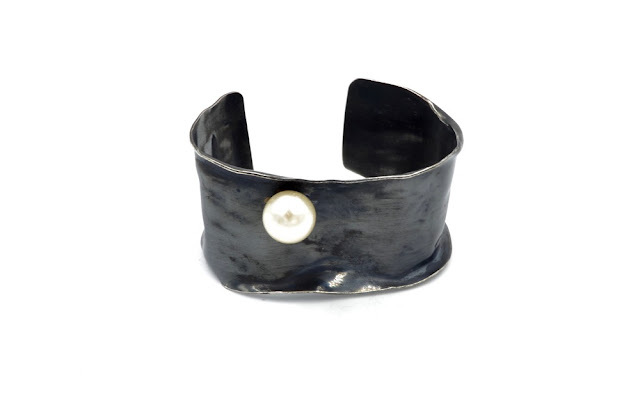 Being in that rock and roll atmosphere solidified my preference for head to toe black, always accessorized with an abundance of silver and oxidized silver jewelry. To this day, that sense of urbanity continues to be a part of my aesthetic and that of my metalwork. 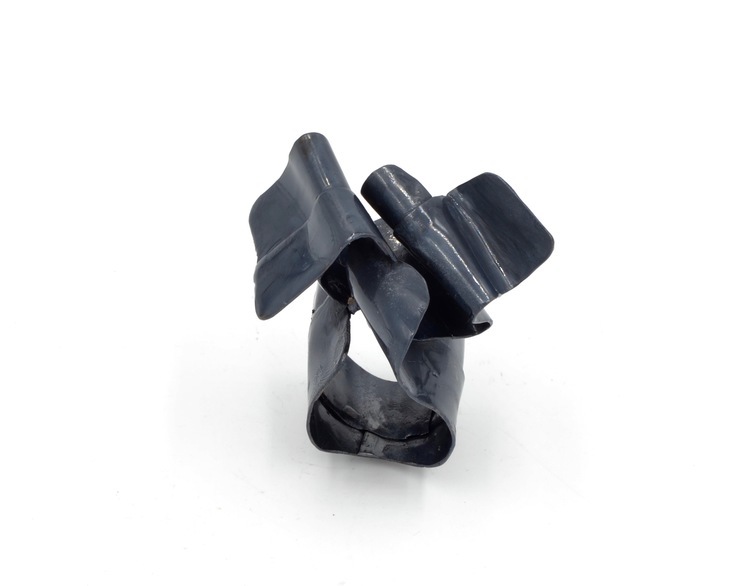 MetalurJ jewelry is big, bold and edgy, and the same can be said for the talent that surrounded me. The motto for your jewellery brand is 'Jewellery Out Loud', how did you come up with the catchy tagline and what does it represent? 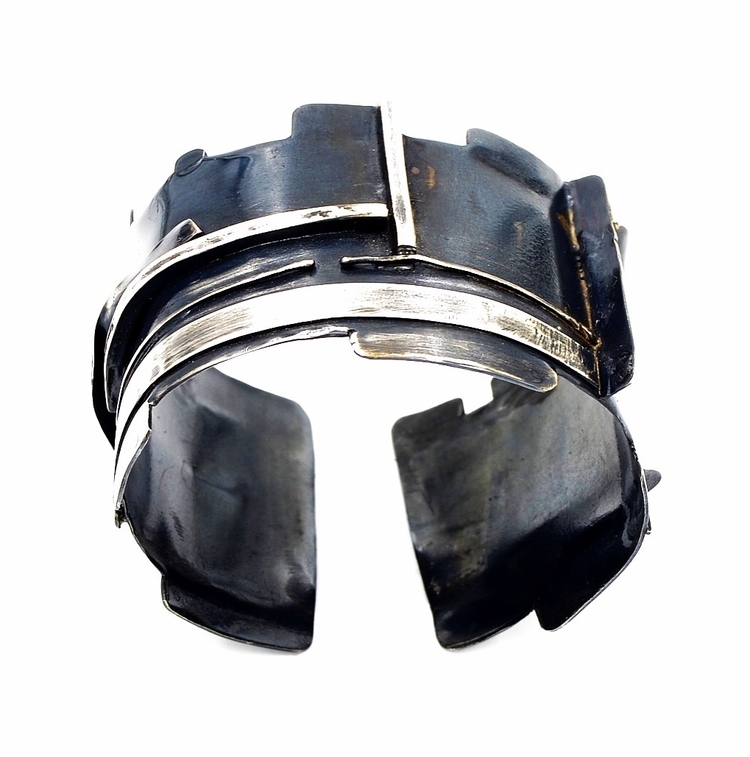 I was looking for a way to communicate how each piece of MetalurJ jewelry makes a woman feel when she wears it, and how it makes me feel as I create. MetalurJ let’s you project your personality in a big way. 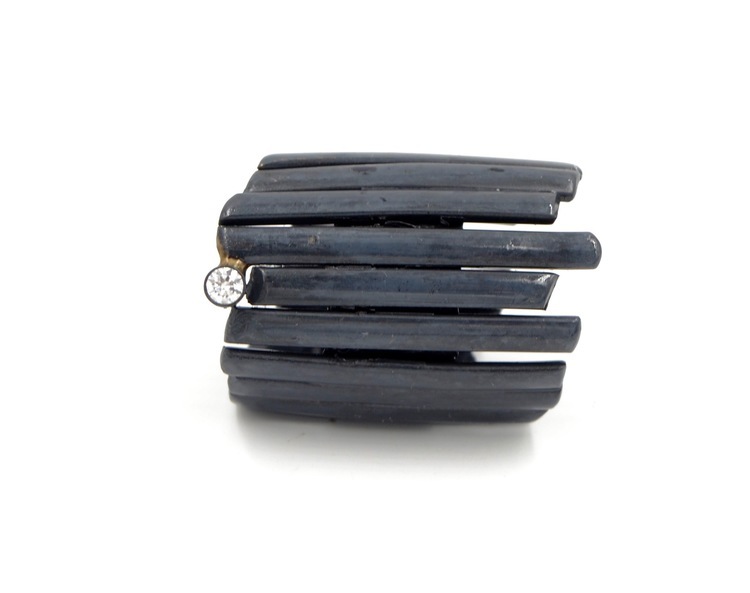 Jewelry Out Loud means wearing your jewelry as an extension of your personality … don’t be shy, shout it. Your studio is based in New York, the city that never sleeps. How does your surrounding influence your work? Is there a city, country or place you're also inspired by? Everything about NYC inspires me, but there are specific parts of the city that make me run to the studio with an idea in my head. I find myself being inspired by construction sites almost daily. The pipes, sheetrock, cables, construction being done and things being built all have given me ideas that became designs. NYC is a living breathing history of life, and it shows itself to me when I see the railing or stairs of a subway and the old metal wastebaskets that dot the corners of the streets. Each of these invisible NYC details gives me ideas for my designs by their designs. I am also a big fan of London as it reminds me of New York City in that each street is filled with hidden inspiration, such as the industrial modern feel and the uncommon and individual style of the people. In my opinion, the more uncommon and unique a place or a person, the more interesting it is! People spend most of their lives in a work space. How would you describe your studio? This is a very exciting and timely question. My studio is a part of the loft that I live and work in, and we have just made the decision to reconstruct everything, including my studio. We will knock down all the walls in the loft and rebuild from the floor up, utilizing the 15’ ceilings to create a 2 floor live/work space. The new studio will be on the 2nd floor and will be built around my needs. There will be a place for everything; such as my supplies; the sanding papers, tweezers, and drill bits and of course my tools, my precious metals, my collection of stones, and the chemicals that I use for experimentation of patina colors. Right now my studio is a scaled down version of what I described above, and most everything is stored in a big old industrial metal cabinet with glass doors. There are drawers for stones and completed designs, with vertical storage for my metals and hooks that hold my silver wire and solder. I am surrounded by industrial modern counters and a desk, and my favorite place to be is at my bench covered in silver dust; and I always have my respirator close by; safety first! Tell us about your new collection “3 Dimensional”? How is it different from your previous collections? My last collection was called “Sicks and Stones” and was based on parallel lines, while my new collection “3 Dimensional” is all about texture and the different dimensions created when you build with metal. Describe the creative and technical stages of making your jewellery collection. What is the hardest and most enjoyable part of the process? My creative process is never the same and depending upon my mood, I will start with the metal or a stone element. There have been many times when I’m running an errand and something hits my eye and I run back to the studio to create. An example is when I passed a construction site and saw a bunch of coiled cables, and I immediately envisioned ring design. I start by taking out my materials; the silver and wire, then I look for a stone that speaks to me. 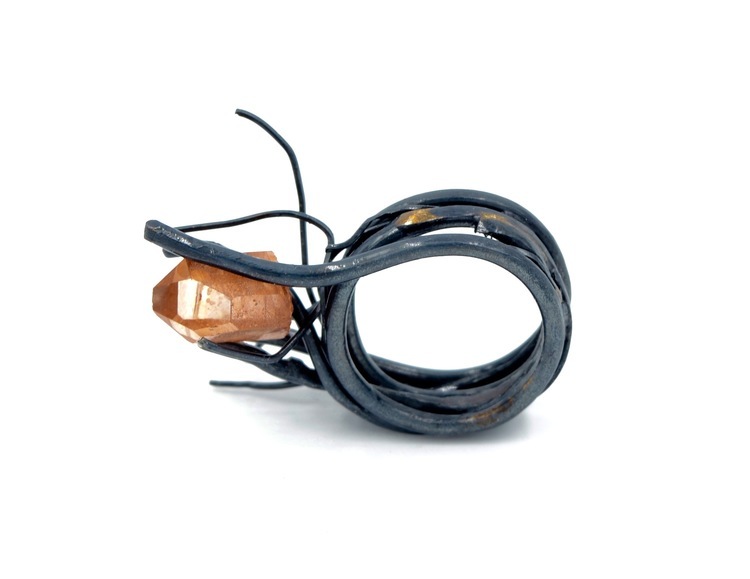 For this particular piece, a rough, natural piece of Citrine looked perfect. I “coiled” the silver wire and began soldering. The hardest part of my work is when a design or the metal becomes “temperamental” and refuses to do what I want it to do. I am quite stubborn and at the same time patient when it comes to this situation and I will continue to forge and work until the metal cooperates. My favorite part of being a metalsmith is the experimentation. I don’t believe that there is only one way to get something done and I don’t always follow traditional techniques. I prefer to experiment to find ways of fabrication that work best for me, and while some of my discoveries work wonderfully, others don’t. But I am of the belief that you learn by doing, and a mistake can turn into something beautiful! I have discovered some fantastic patina colors by experimenting, and I’m always surprised and excited with the results. 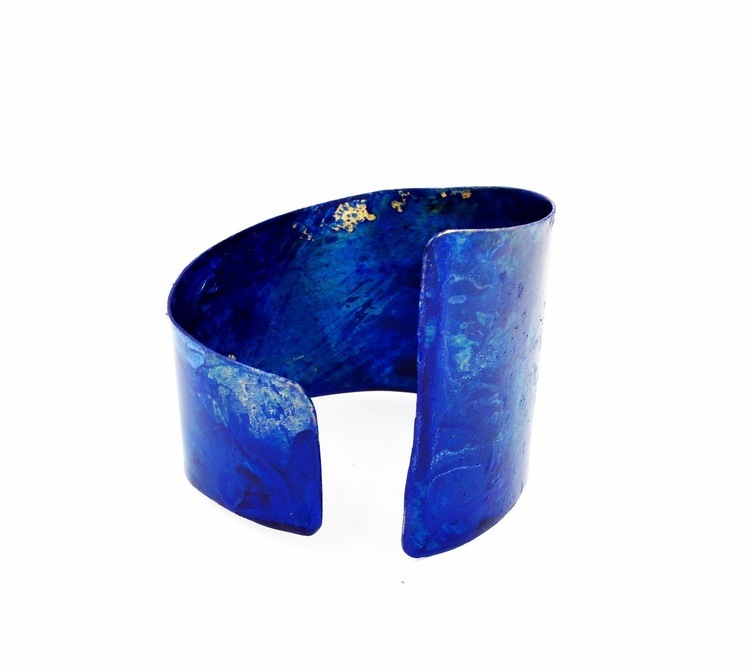 Do you have your favourite Metalurj piece? As I often say, it’s all about the metal. I love to adorn my designs with unique and beautifully cut stones, but the metal is paramount to my work. One of my favorite pieces is a design I created when a client sent me an old ring that she never wore, and she wanted to use the diamond from that and have a new design created that would be more modern and she would be able to wear it daily. This design is an absolute favorite as it has a story behind it and I adore the look of silver layered on silver creating texture and dimension. Which design do you wear most often? 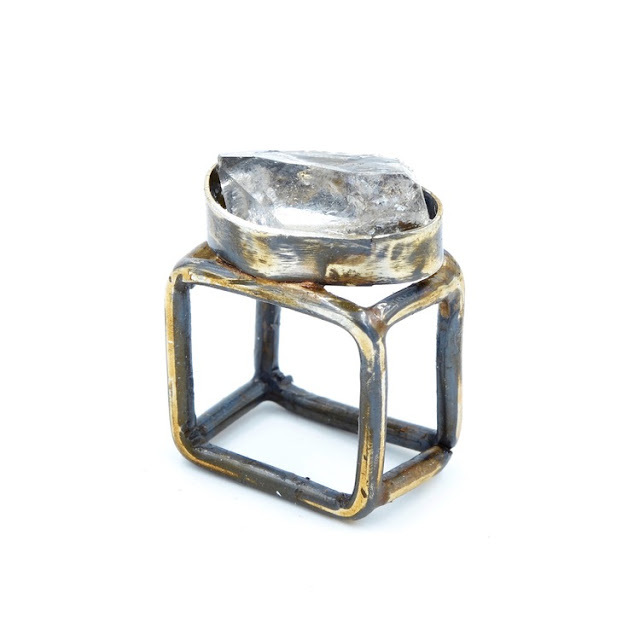 My everyday basics are a Sterling silver textured, wide square band ring that was one of my first creations. 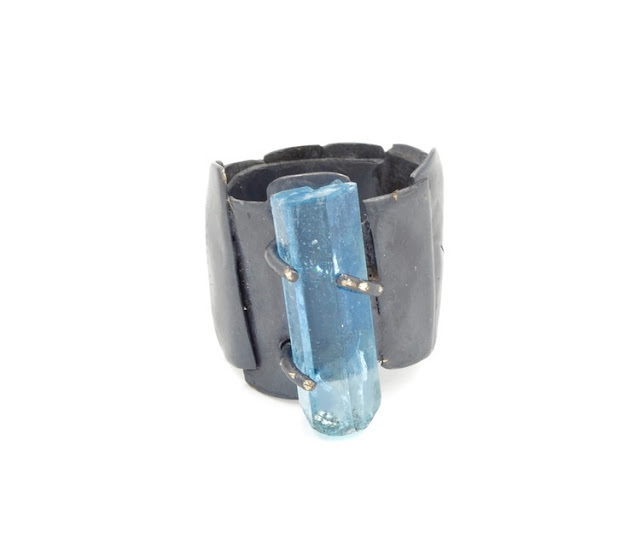 I also wear a piece named “Celestial Sky” , which is a distressed and oxidized wide band ring, set with a 3mm Sapphire and silver tubing. 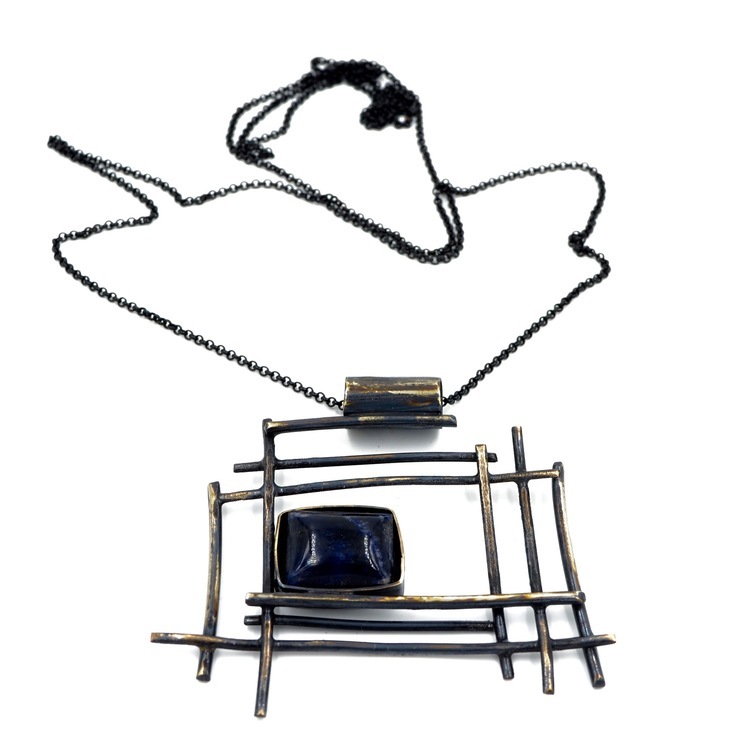 I am fascinated by the contrast of the Sapphire and silver tubing set against the oxidized background. I also love a design named “Bricks” which is a wide band ring, set with layered silver rectangles creating the look of a brick wall. If you could adorn your work on a public figure (dead or alive) who would it be and why? I believe that any woman who wants to communicate her distinct and unique self would be the perfect person for a MetalurJ design. Although public figure who comes to mind is Gwen Stefani because she pays no attention to trends, reinvents herself and sets her own dramatic style. MetalurJ would compliment and enhance that look. Is there a brand you would love to collaborate with? There is a designer whose work I admire, Ace Studio Luna Verde, and our philosophies are very much alike. We believe that imperfection is perfection! 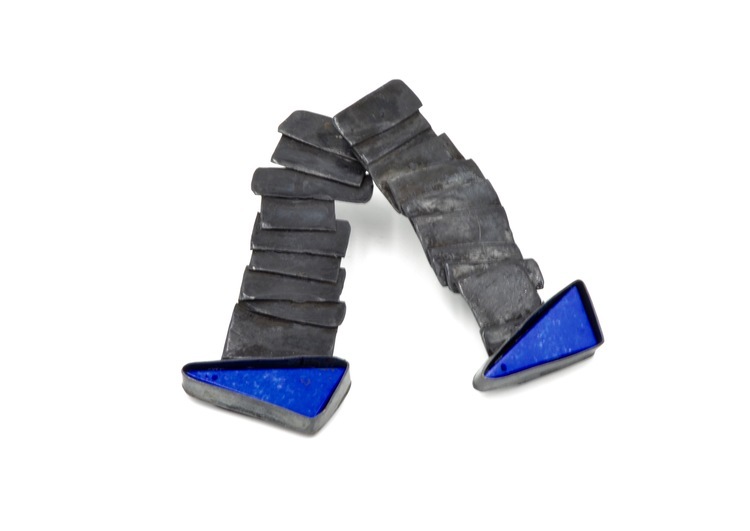 I also think that a collaboration with Anna Khouri would work well because she also believes in what I believe, which is that jewelry should be an extension of your personality and become a part of who you are. Describe the person wearing your collection. The MetalurJ woman knows who she is and isn't afraid to forge her own path. She sets the style, doesn’t follow the crowd and wants an alternative to the common jewelry everyone else is wearing. 5 words to describe your jewellery. I am the proud wearer/owner of a MetalurJ ring. I am consistently amazed at Jill's ability to conjure one-of-a-kind designs. I get the feeling that she even surprises herself at times...which is how Art should evolve. Be inspired, show up and do the work. That's MetalurJ.